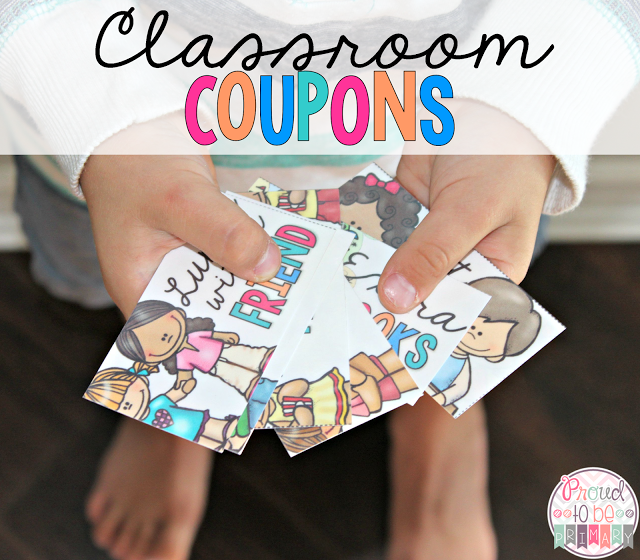 Coupons for kids: a classroom management strategy that is SMART! 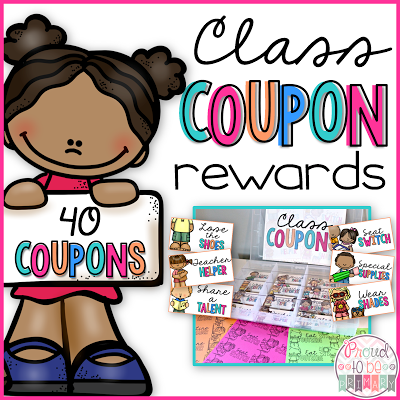 Read tips for implementing a class coupon reward system. 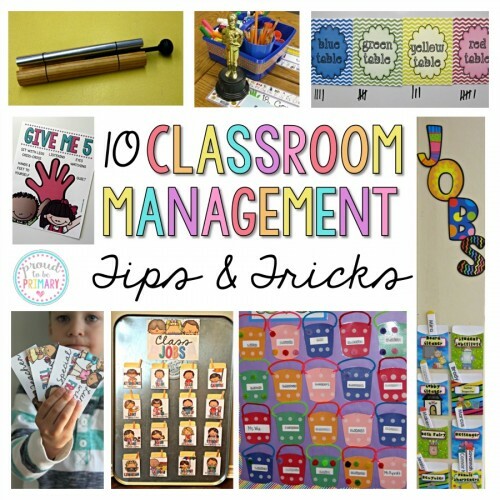 I have been teaching young children for 10 years and in that time I have tried A LOT of classroom management strategies, but never coupons for kids. 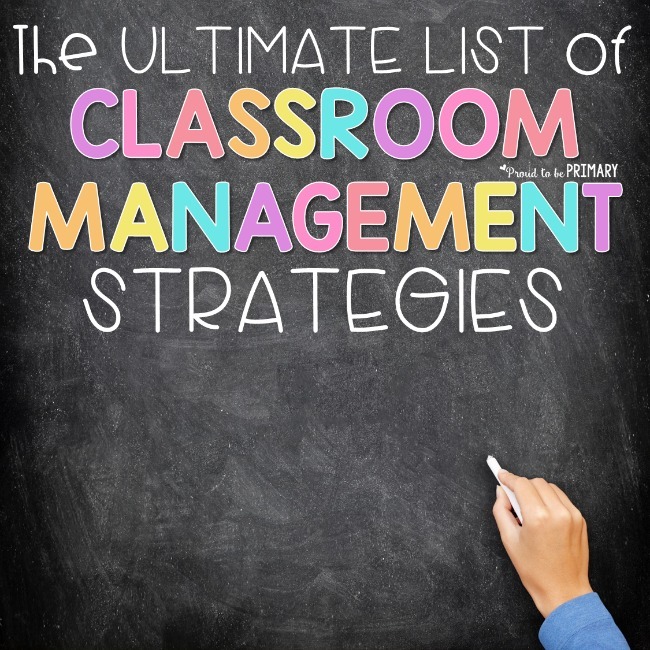 But out of everything I have tried, classroom management strategies that are POSITIVE and ones that run themselves (after initial teaching and practicing). 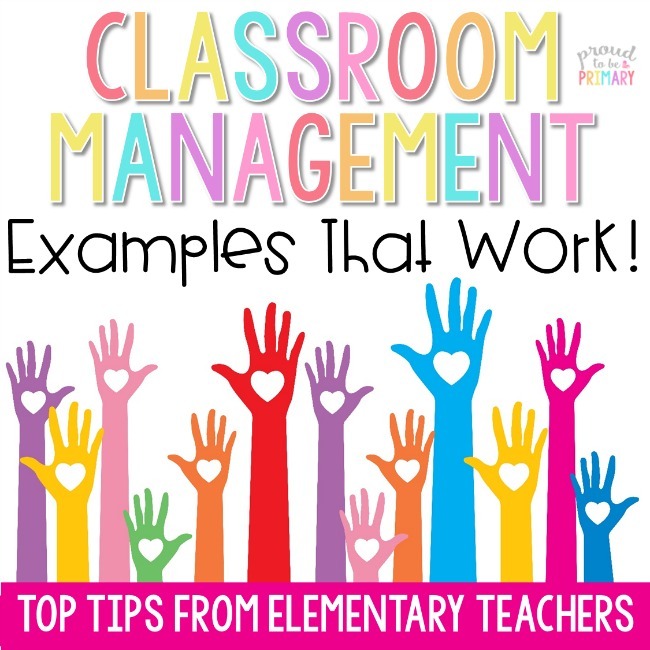 Today, I am here to share with you my absolute favourite classroom management strategies that I discovered a few years ago and have used ever since: Class Coupons as a classroom management strategy. 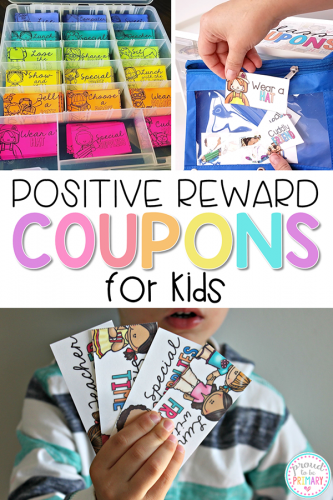 Coupons for kids is an effective and positive method that works! 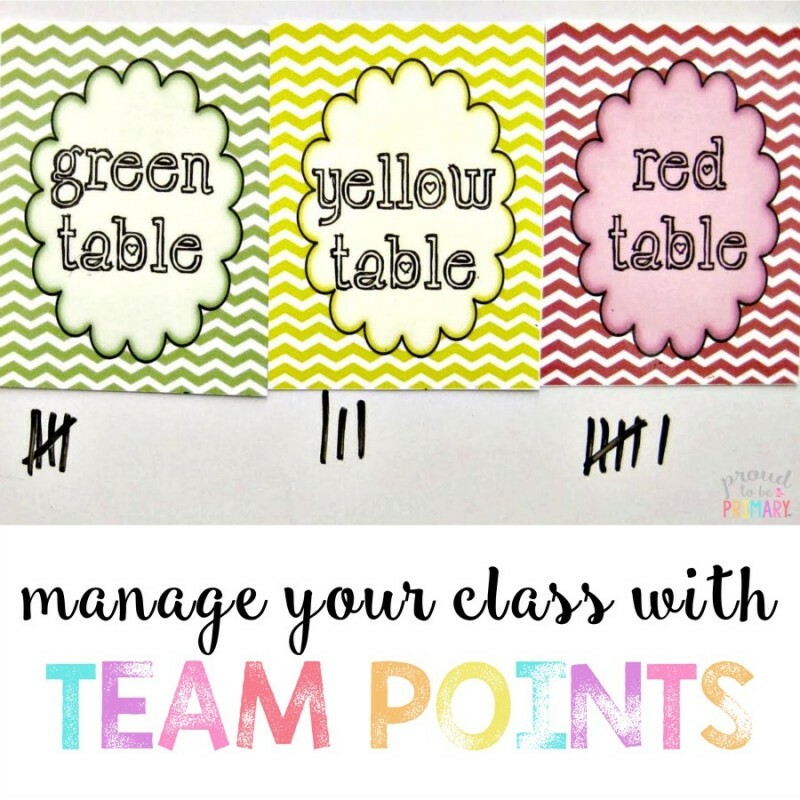 Students earn coupons throughout the week for having the most team points, getting the Oscar award (more on this later), being a special helper, great listener, or for doing something extra special. I use these coupons at predictable and unpredictable times, which keeps it fun for everyone. 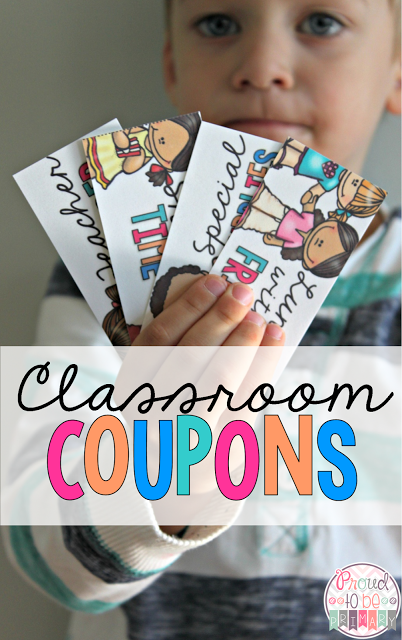 My students love the coupons and get very excited about them. 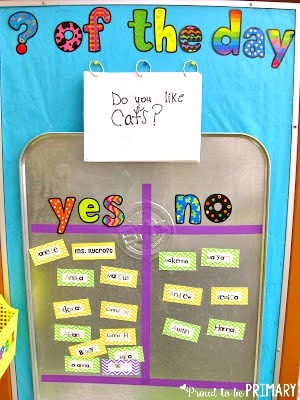 They especially like that they get to choose which coupon they want from our coupon box. I tried various reward systems over the years. The treasure box filled with store-bought items. The gumball machine led to gum all over the place. I tried it all! After spending A LOT of money on tiny surprises and toys with little significance, I discovered the coupon system. 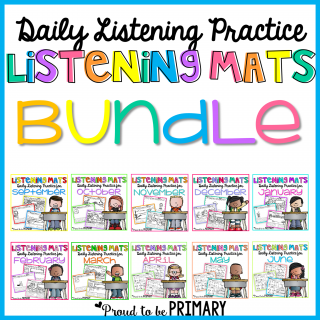 I have Mel D from Seusstastic to thank for introducing the coupons for kids system to me. 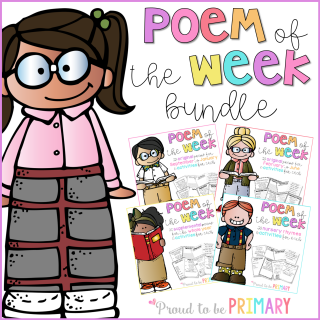 She also has some great reward coupons available on TpT. 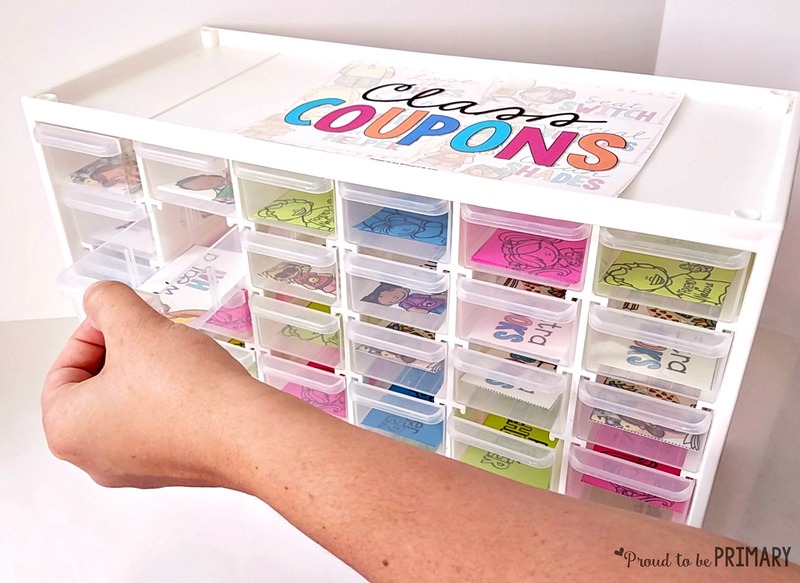 To store my coupons for kids, I found a clear plastic box at Michael’s that has the perfect size compartments to hold small coupons. 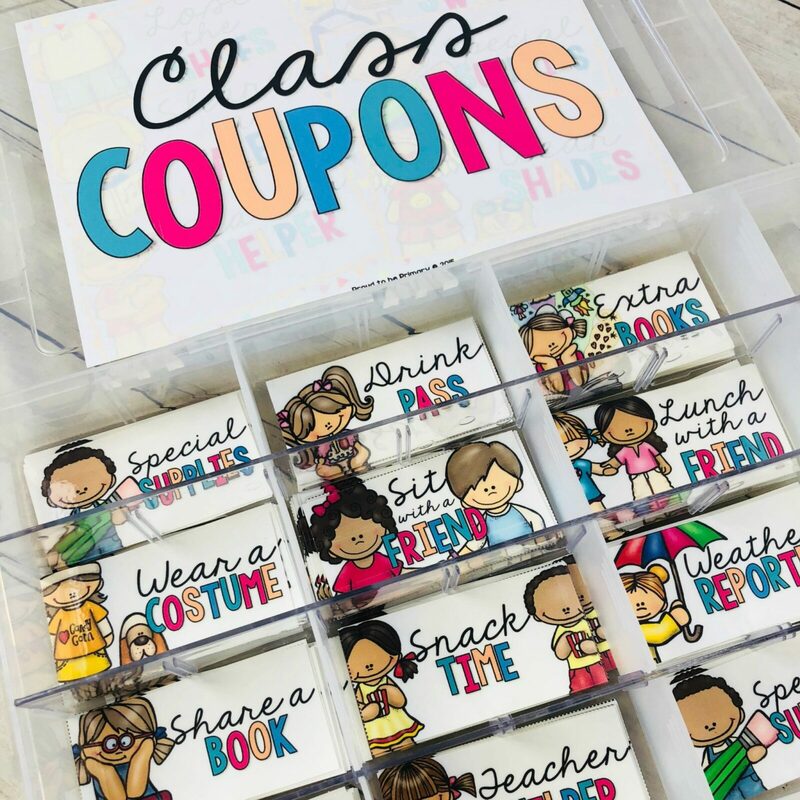 You can buy a similar coupon box from amazon HERE. 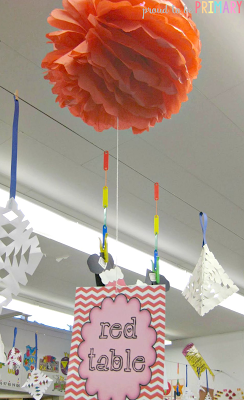 Print the coupons on card stock and laminate for durability. You could even try something different and buy a container with drawers similar to THIS one. 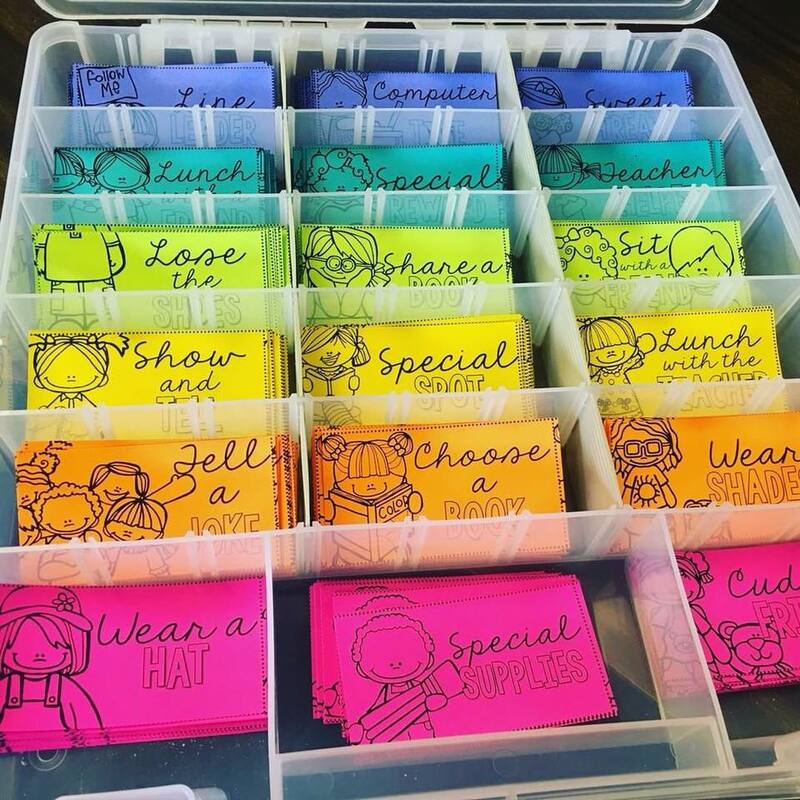 Some of the fun coupon choices are Special Supplies, Wear Shades, Share a Book, Lunch with a Friend, Cuddly Friend, Drink Pass, and many more. 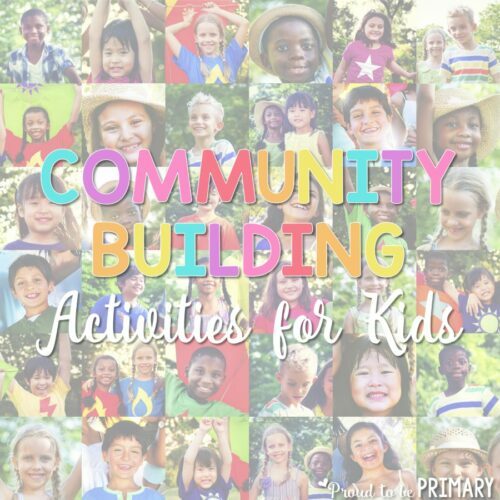 To see all the choices, click HERE. 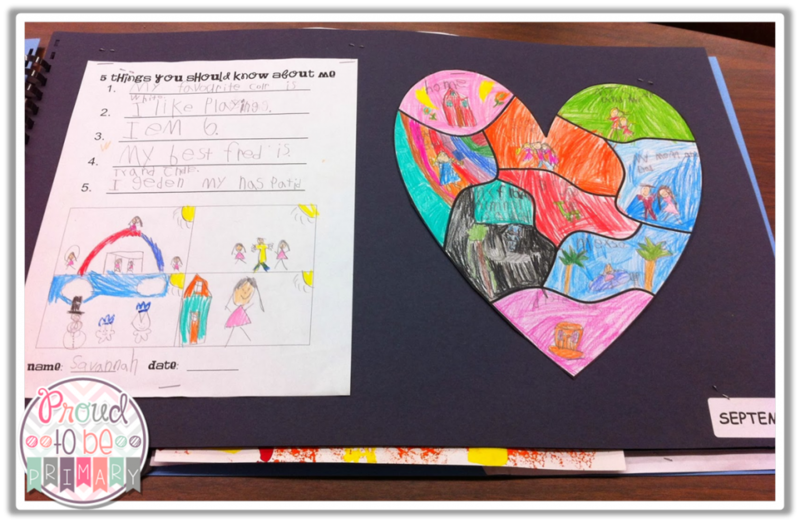 Students love choosing what is important to them. 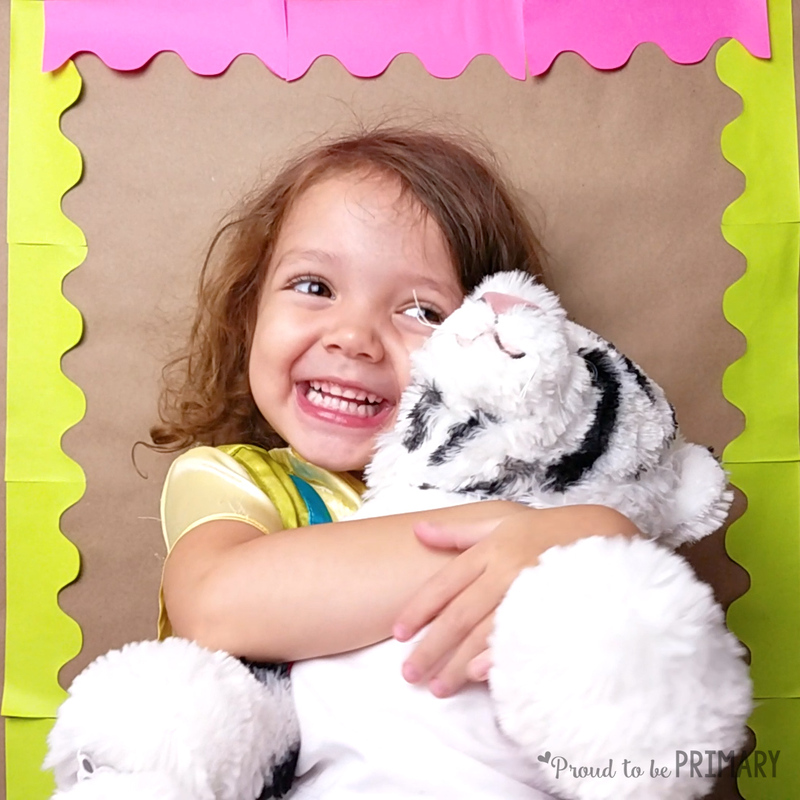 For example, if they like stuffed animals, they can bring a cuddly friend to school on day or if they have a special book at home they want to show the class, they can bring it to share one day. 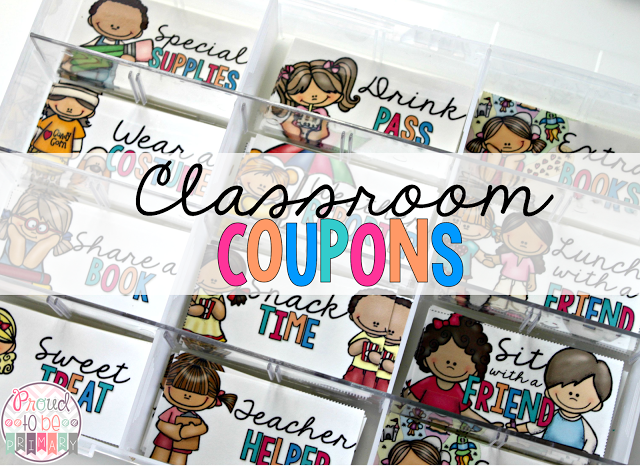 I have created my own set of classroom coupons that you can check out HERE. 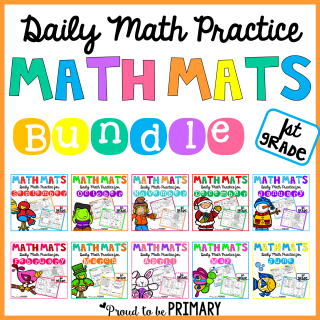 This set includes 40 different coupons with 10 on each page. They are completely editable. Each coupon comes in color and black & white. I suggest printing in color on white car stock or print in black and white on colored cardstock to save ink. 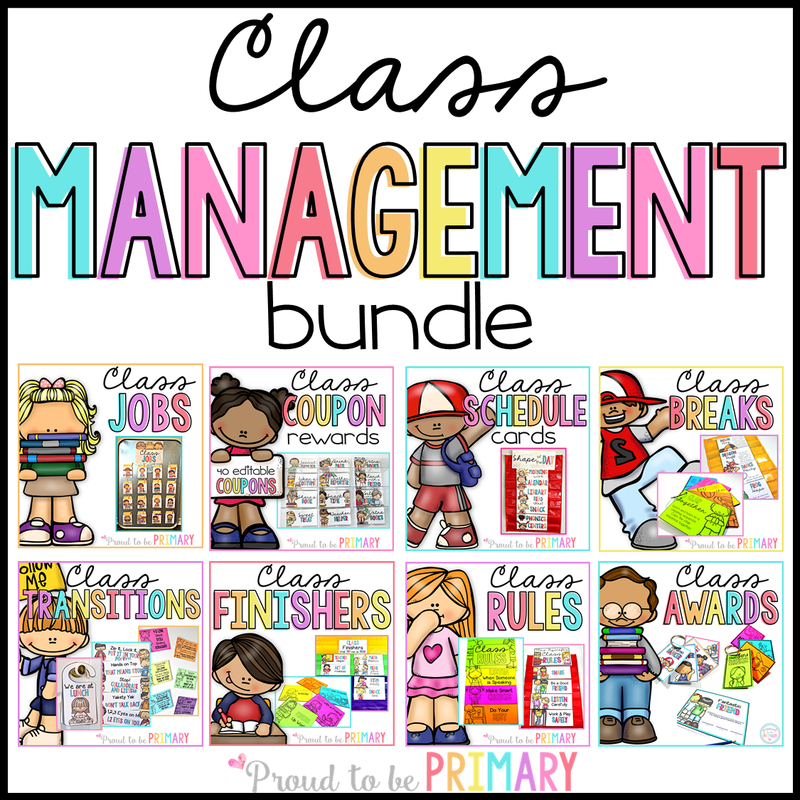 There are also different header titles “Class Coupons” for you to pick from. 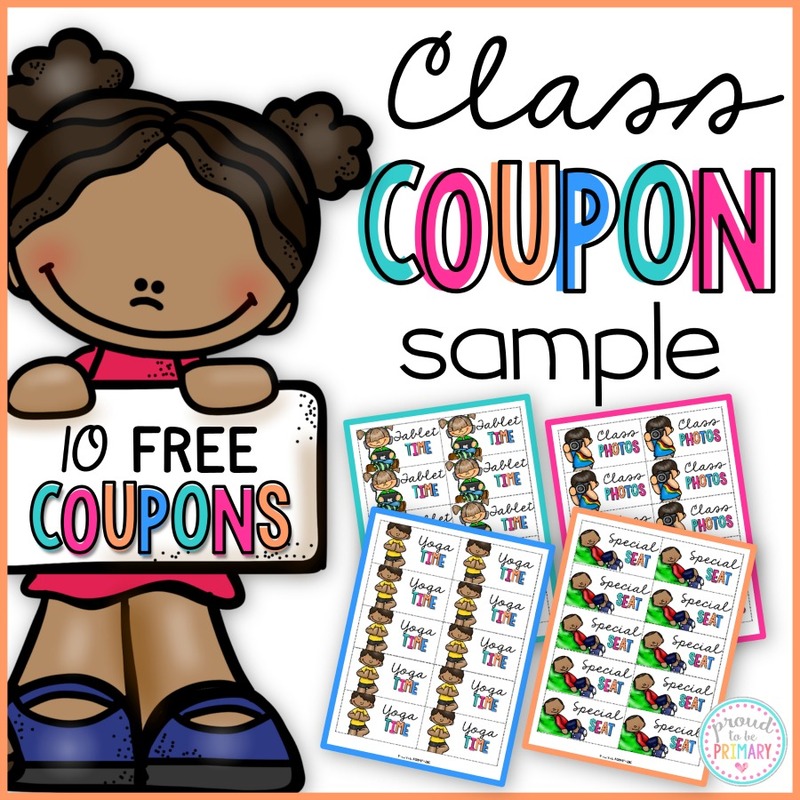 Grab the exclusive FREE 10 NEW coupon sample to match the full Class Coupon pack by clicking the image below. 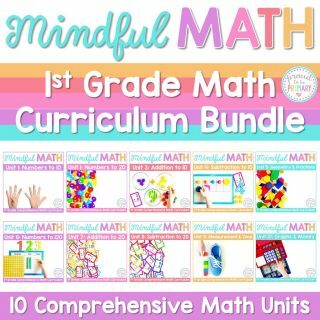 Click the image below to visit the FULL Class Coupon product in-store or click HERE. 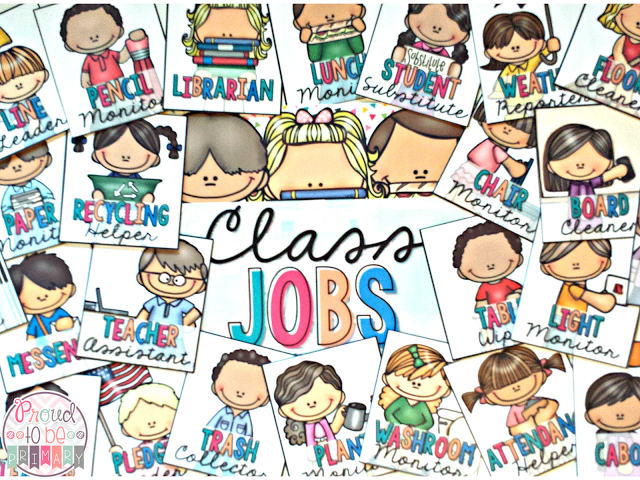 Classroom Jobs: Implement Like a Boss! 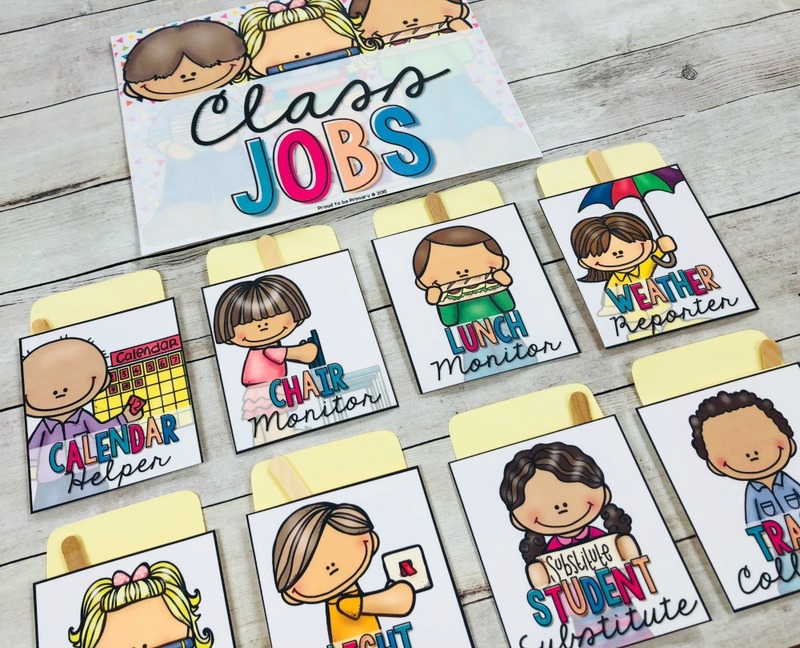 Develop a classroom jobs system in your classroom with this printable set. 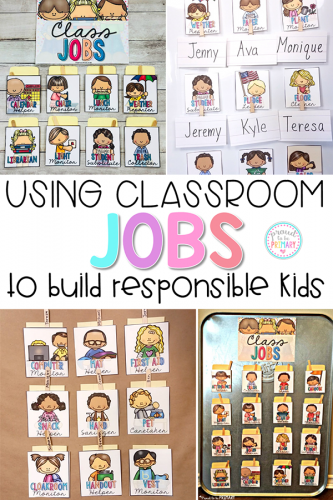 Your students will love having their own classroom job! 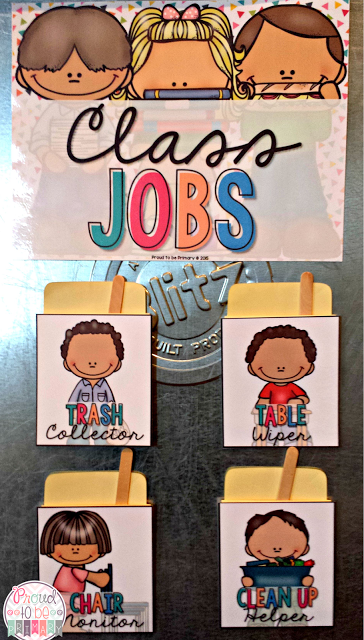 Implement Classroom Jobs Like a Boss! 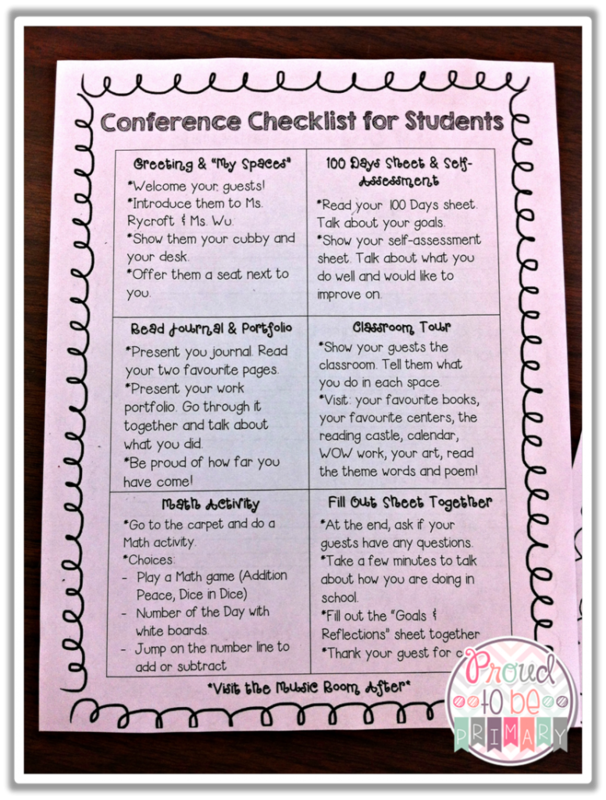 In my classroom, student classroom jobs are an absolute must! 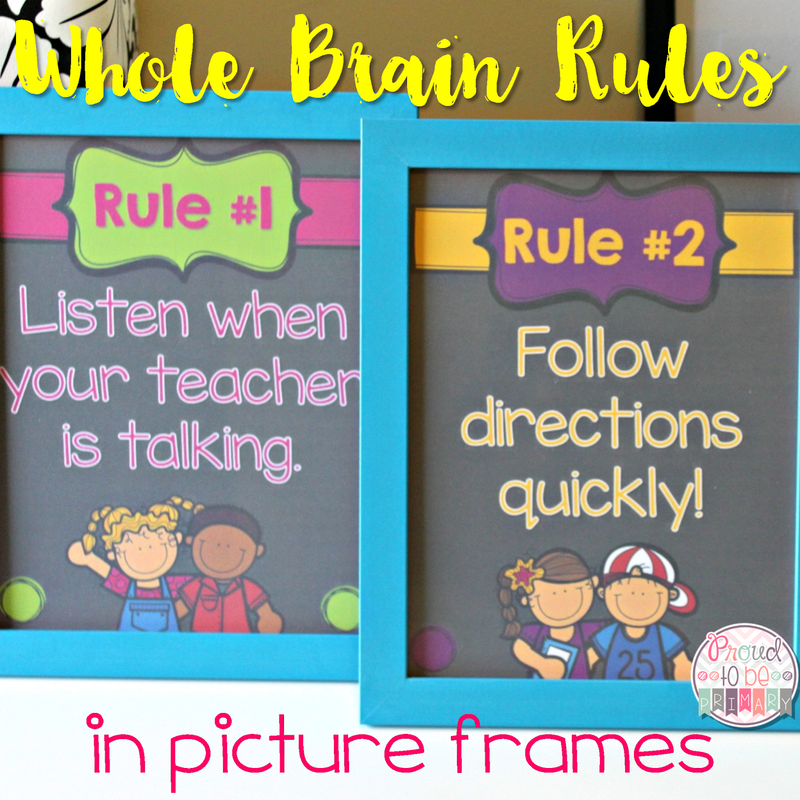 It is one of my favorite classroom management strategies that work. 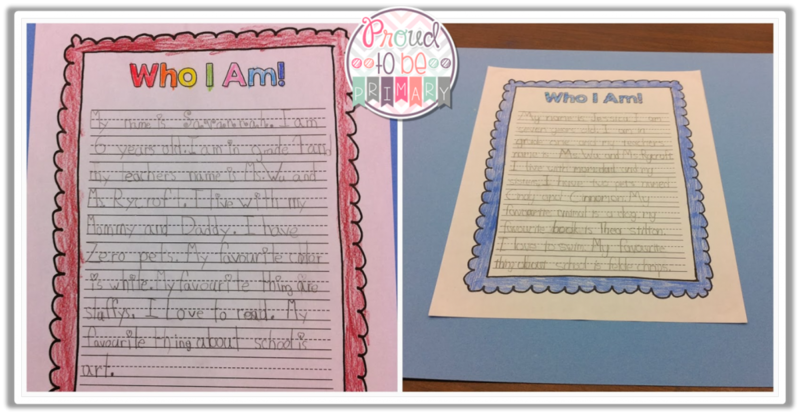 Students love having their own job to take care of each day. 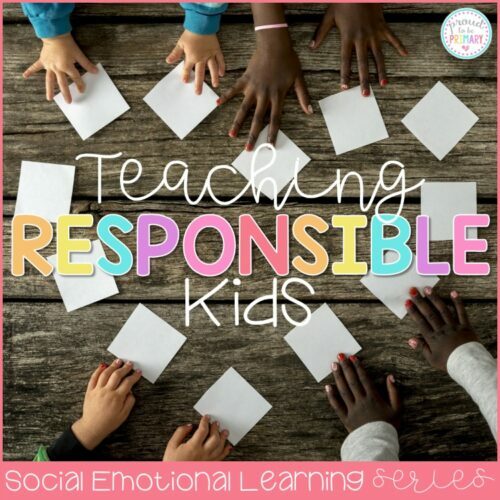 They take responsibility for their classroom jobs and for the most part put in a good effort, with some guidance along the way. 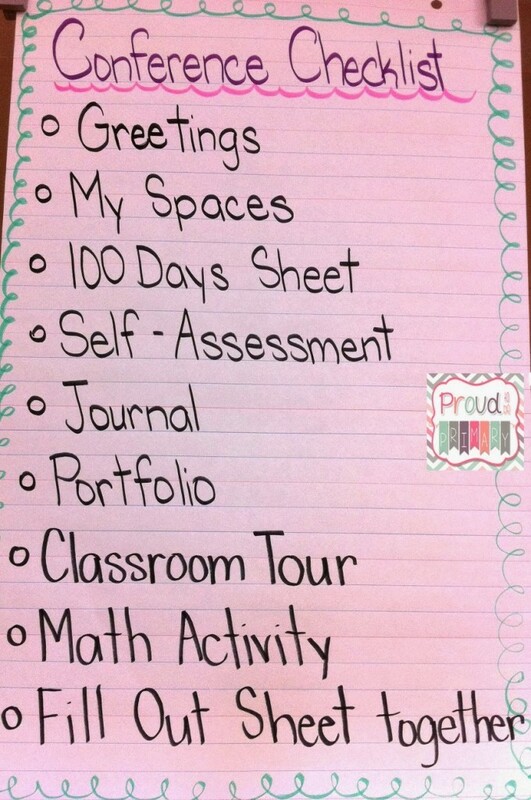 Spend time during the first week or two of the school year introducing each of our classroom jobs. 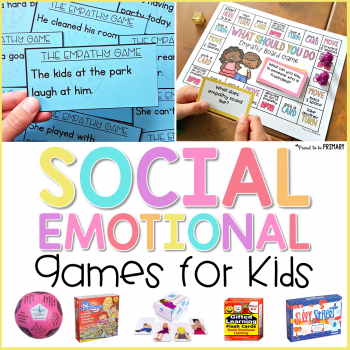 Here’s why spending time on that is so important. 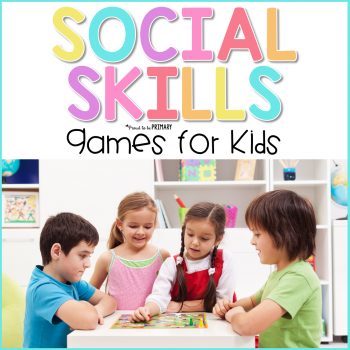 Discuss what each entails, what it looks like to do a “good” and “bad” job, and practice. 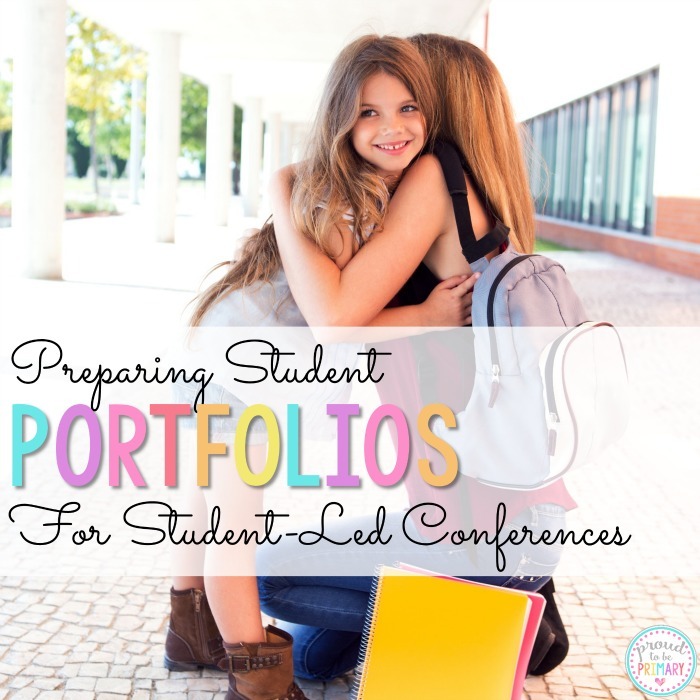 Once ready, assign each student to a job. 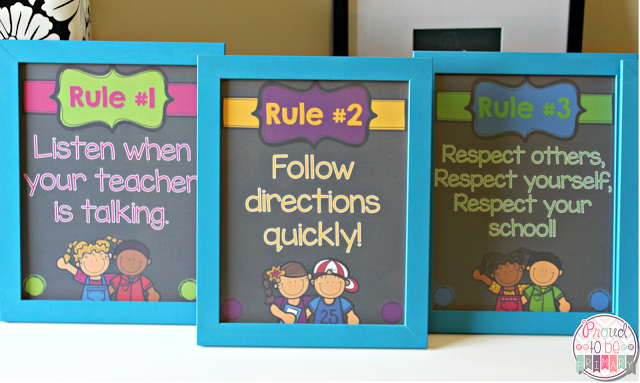 Some classroom jobs take only one person and others take two. 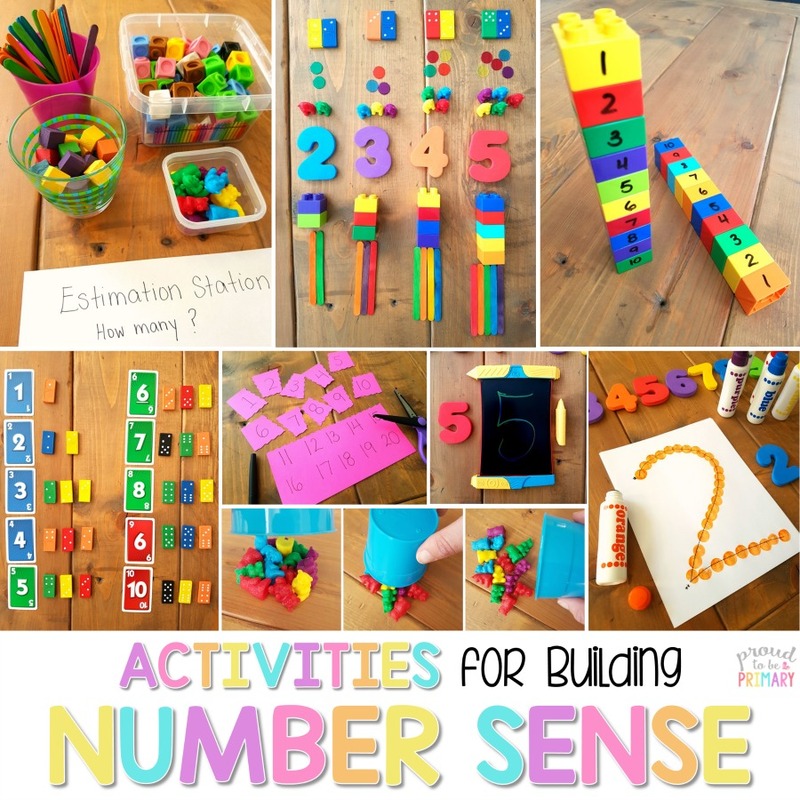 The easiest method for me has been using Popsicle sticks. 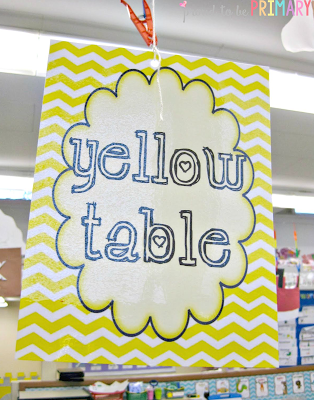 Write each student’s name on a stick and place their sticks inside library pockets. 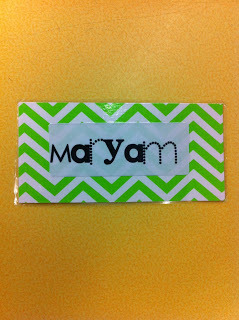 Label each library pocket with a job and post them on the wall in a classroom job display. 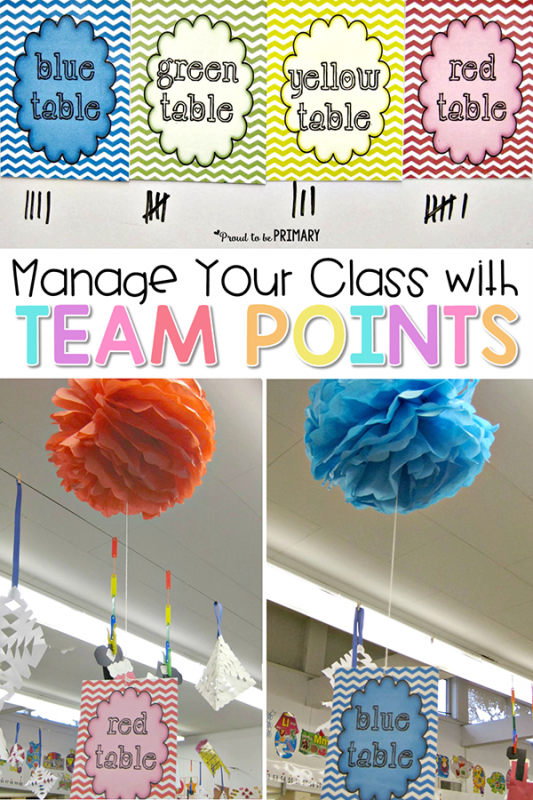 You could add a photo of your students on the end of the sticks for a cute display! 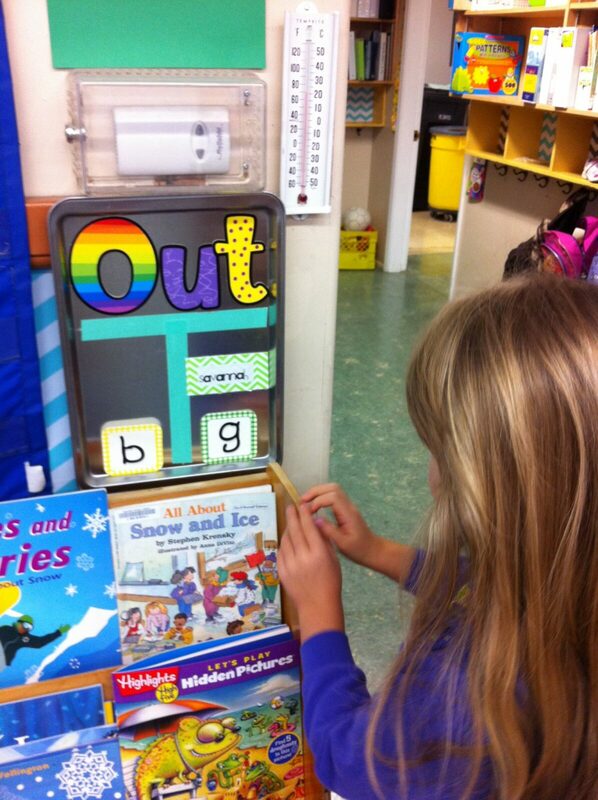 I like to include many different types of jobs that students can do independently with some practice. Some of the jobs we like to use are teacher assistant, messenger, chair helper, and pencil monitor. Rotate student jobs every two weeks instead of one. I find that they need some time to get really good at the job before moving on. They also seem ready after 2 weeks for a change. This way they also have the opportunity to try each job at least once or twice throughout the school year. 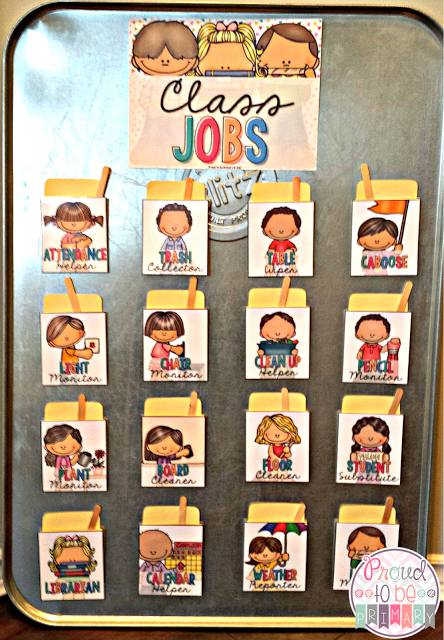 We change the jobs together as a class so that they can remember which new job is theirs. 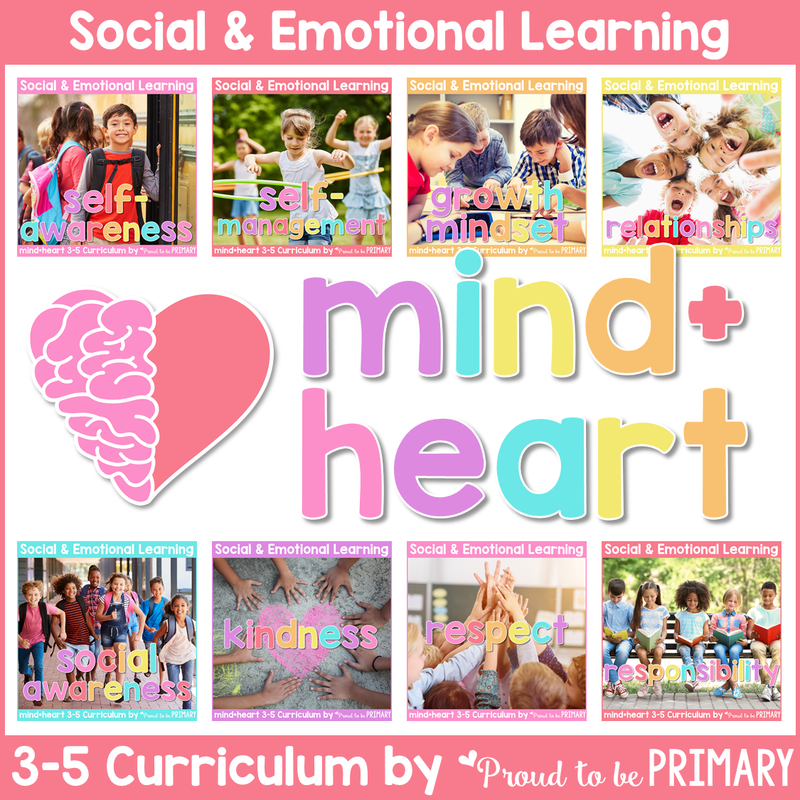 As I call out each job, I ask students to give me a thumbs up if they know what their job is and a thumbs down if they need me to remind them what to do for that job. 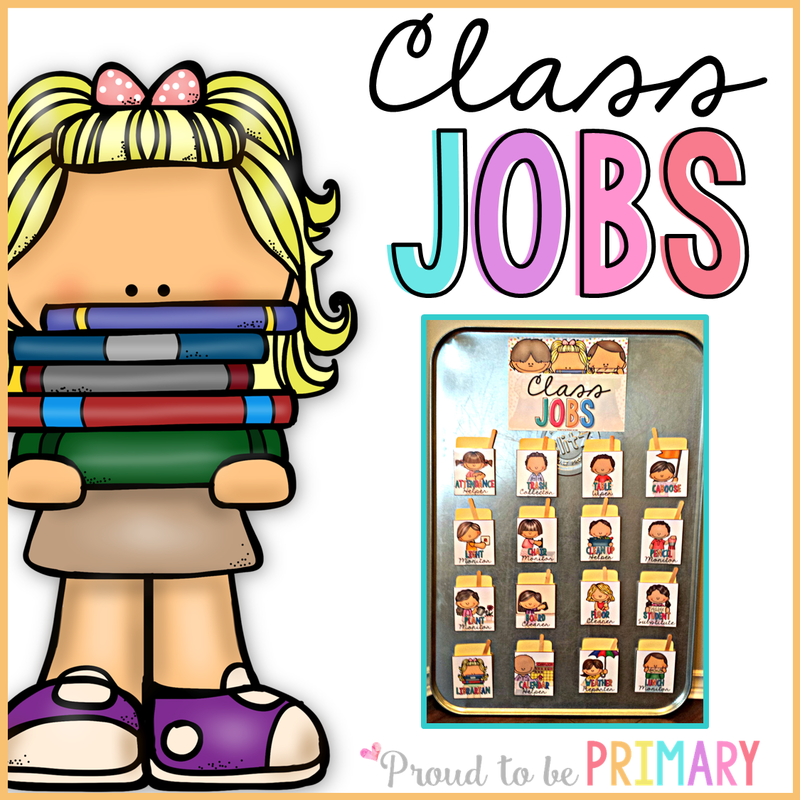 You can check out this classroom jobs chart which includes 24 job cards and header posters HERE. 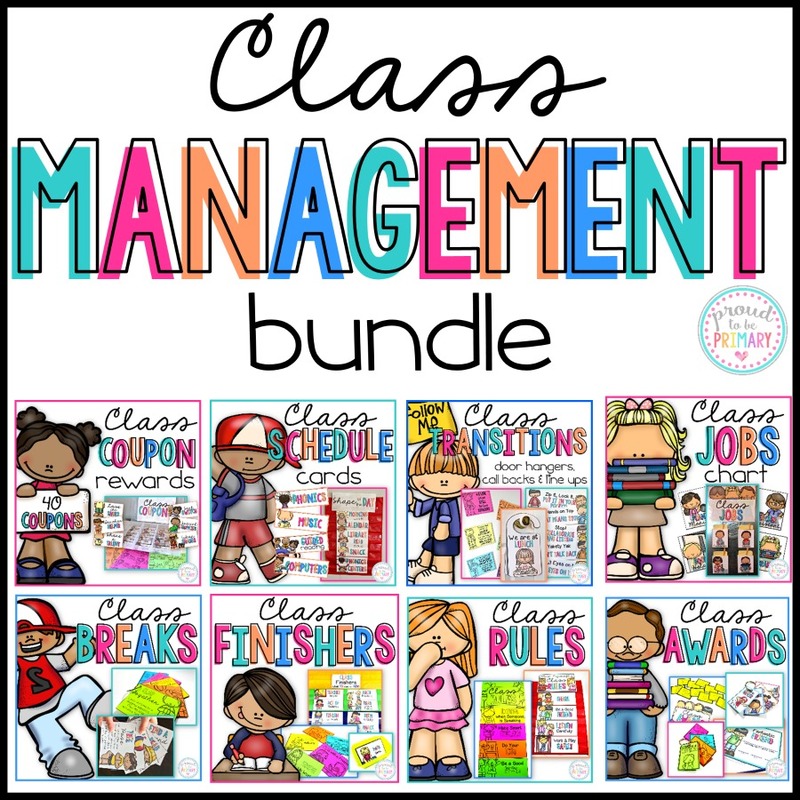 There are 24 classroom jobs included in this pack in color and black & white. 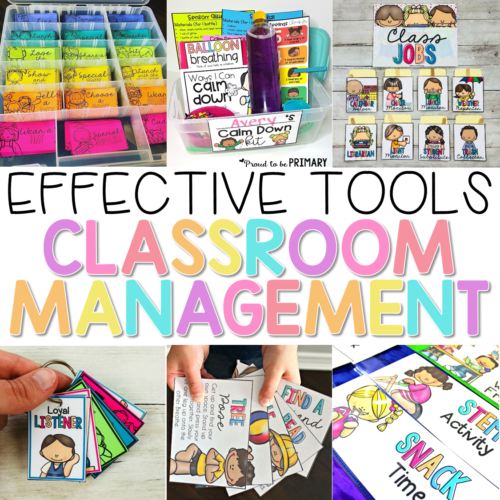 Classroom Jobs go along with these other classroom management resources! 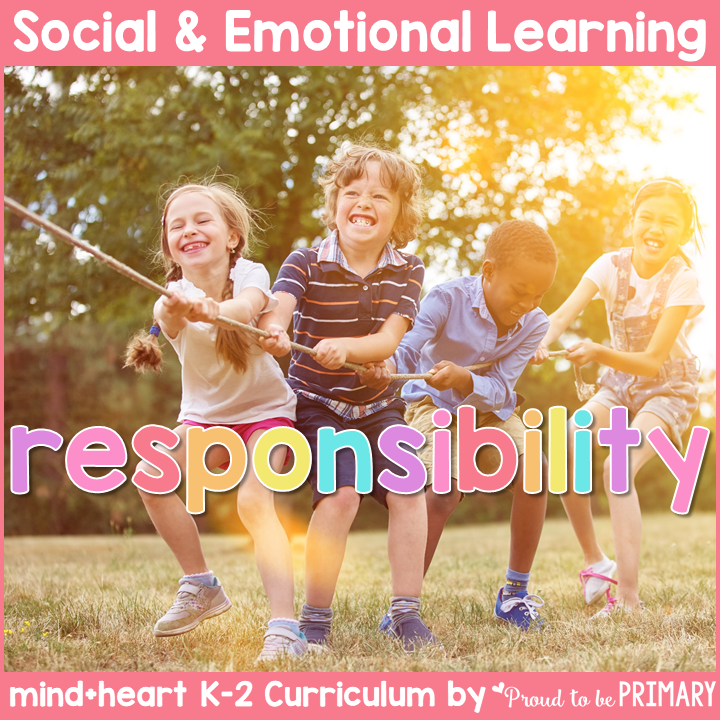 This responsibility SEL curriculum includes 6 detailed, research-based lessons filled with hands-on and mindful activities that teach children about responsibility, goal setting, peaceful problem solving, and anti-bullying. 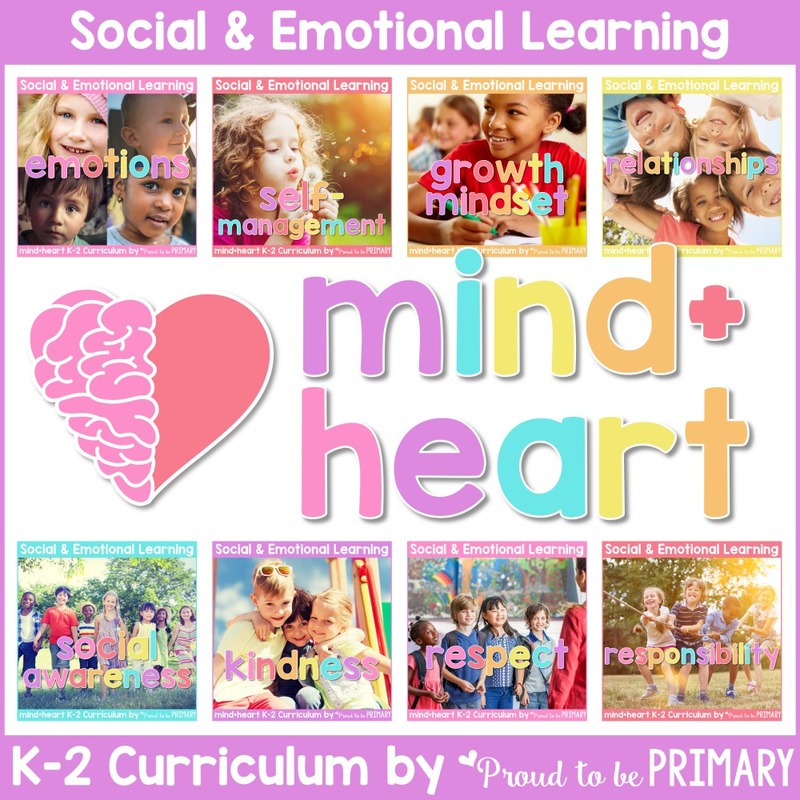 Use this curriculum along with the classroom jobs system to build responsible kids! 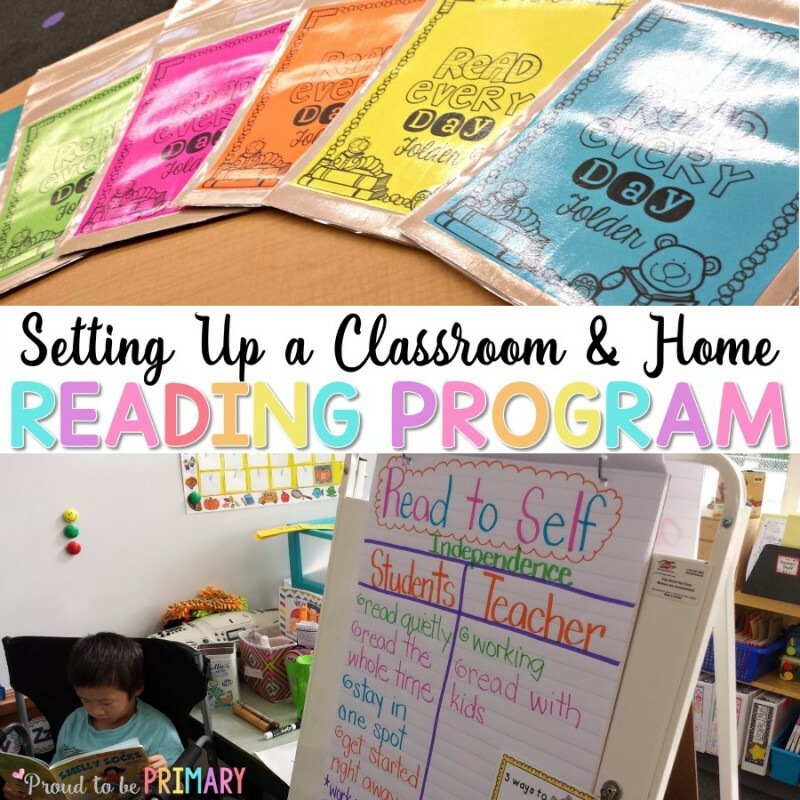 A post about setting up a classroom and home reading program in the primary classroom. 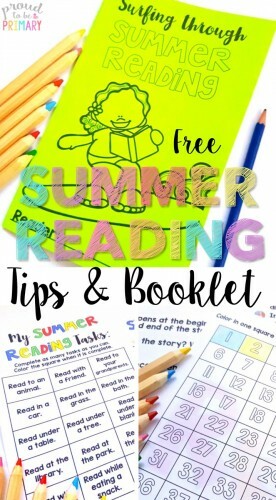 Includes free printable sheets to create home reading folders. 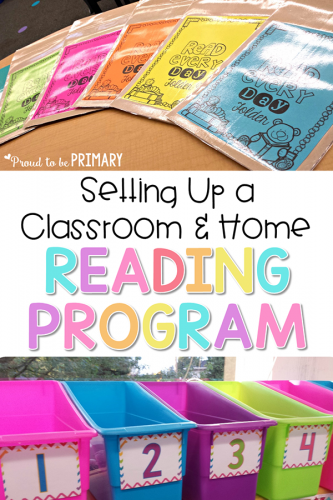 Today I am sharing a way for setting up a classroom and home reading program in your classroom. 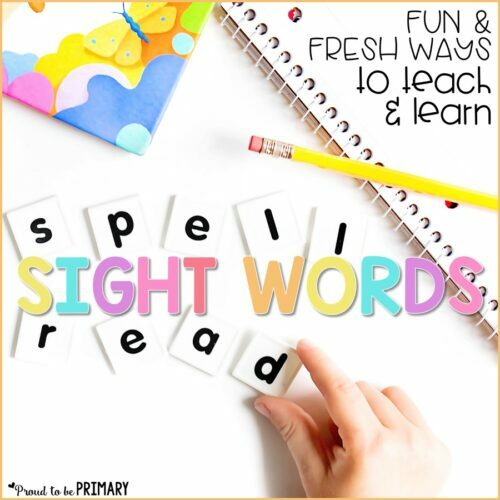 I have been teaching students to read for nearly a decade and in that time I have tried a lot of different approaches. 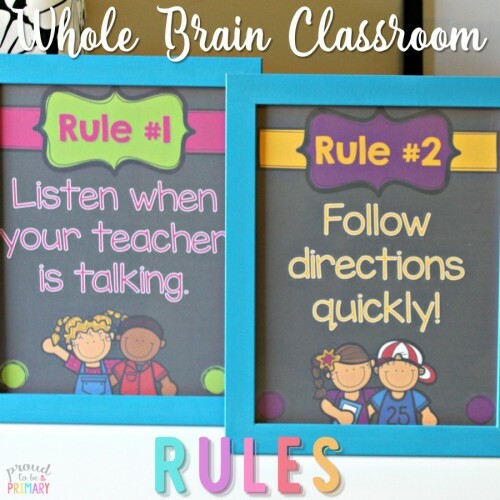 This system is the way that I have set it up in my own classroom and I have had a lot of success with it! 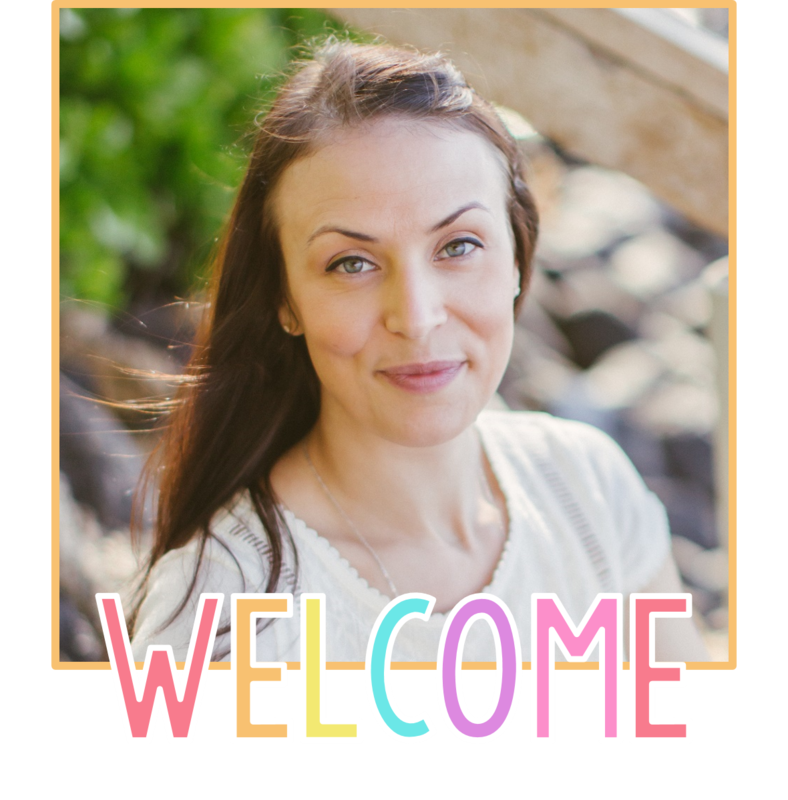 I hope that I can help you set-up your classroom and students for reading success! 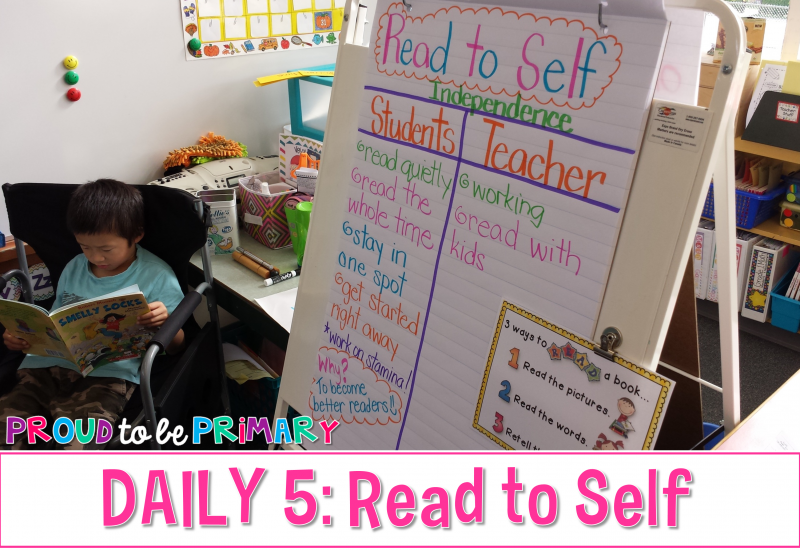 I won’t go on and on about what Daily 5 is, but I will tell you that I LOVE the results I get by incorporating Read to Self. I pretty much follow the routines laid out in the book (head here to grab a copy for yourself!) 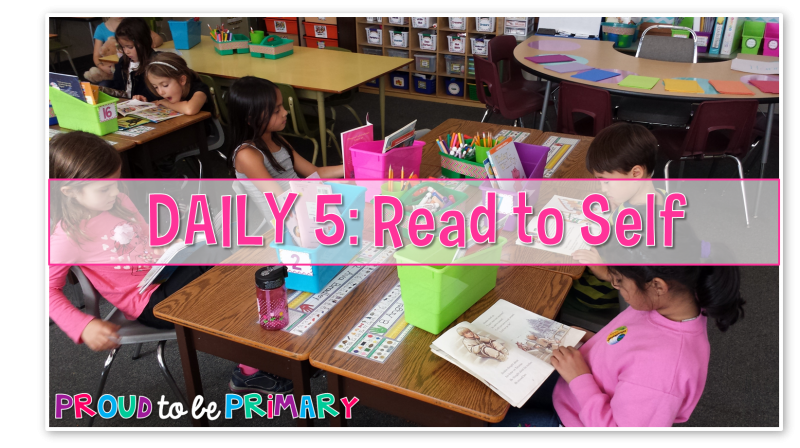 and we work really hard at the beginning of the year on building up our stamina (our ability to read for longer periods of time). Here are my students working hard on their reading. They clearly understand the routines, expectations during this time of the day. We all do Read to Self at the same time together. I call it DEAR (drop everything and read) time! All my students have their own reading baskets filled with a combo of books they have chosen themselves and “just right” books (more on this further in the post). 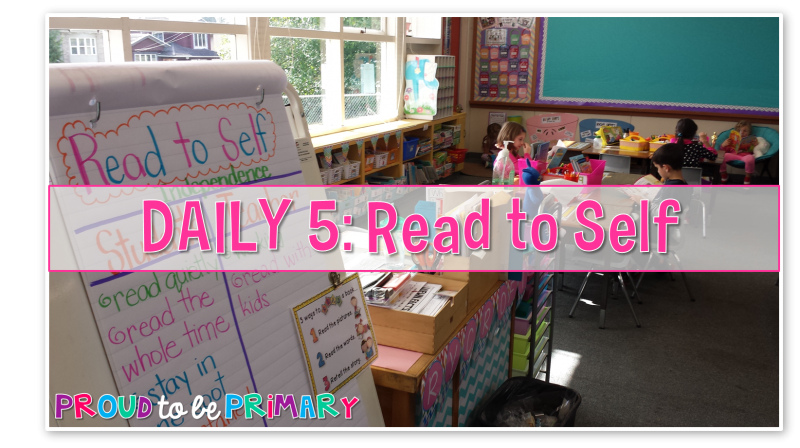 After we have worked on Read to Self for a few weeks and they all feel confident on their own (without coming up to me for help or questions or to share a funny pictures from their book), I begin my guided reading groups. 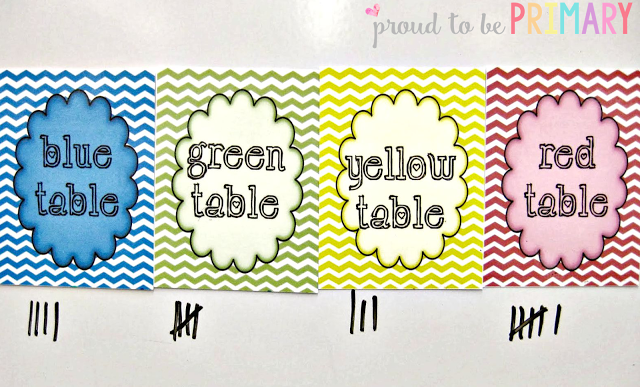 In my classroom, I use a set of leveled readers (PM Benchmarks) and other books that I level to the same system. 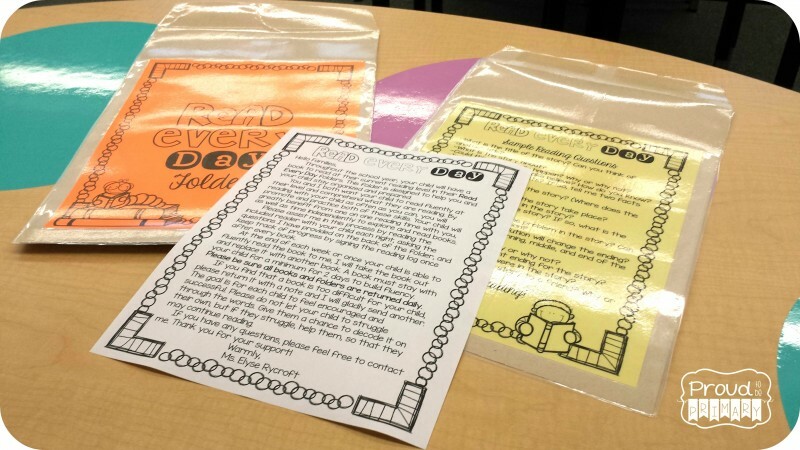 You could use any leveled readers available to you in your school or district. The system I use is leveled by colour so I have one basket for each level filled with small books inside and placed in order, in a line down the shelf. Under these shelves are my bins of themed, character, and author books. 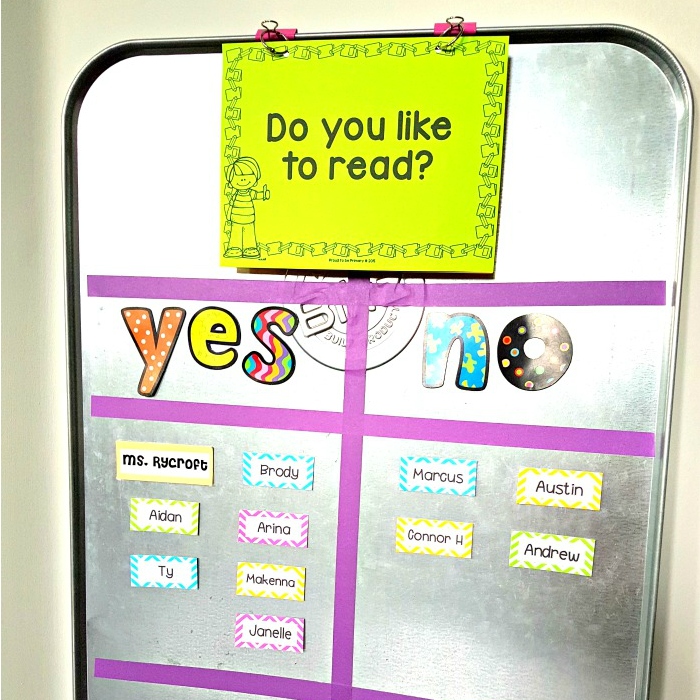 I take the time to make sure students understand how the books are organized and where they can find the books they need. 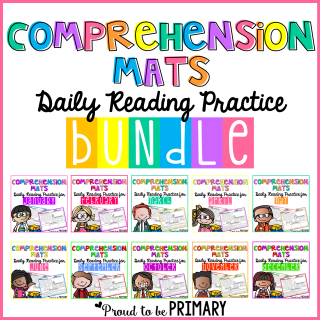 After taking the time to do some one on one reading assessments with each child, I have a clear idea of what reading level they are at and which books are just-right” for them. 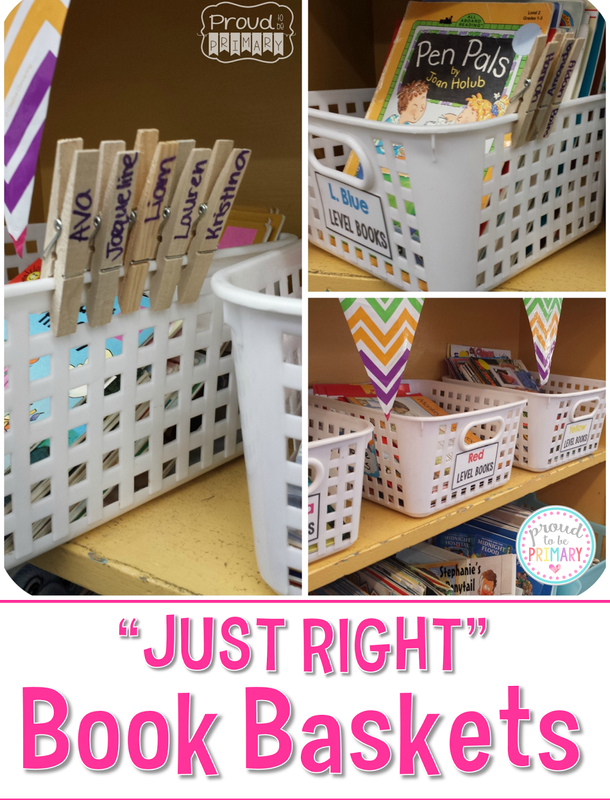 I place a clothespin clip with their name on their basket of “just-right” books, so they know exactly where to find those books. We also spend some time discussing how to tell if a book is “just-right,” too easy, or too hard. Once they understand all about finding the right books, I begin to give them the opportunity of choosing their own books for their book baskets. 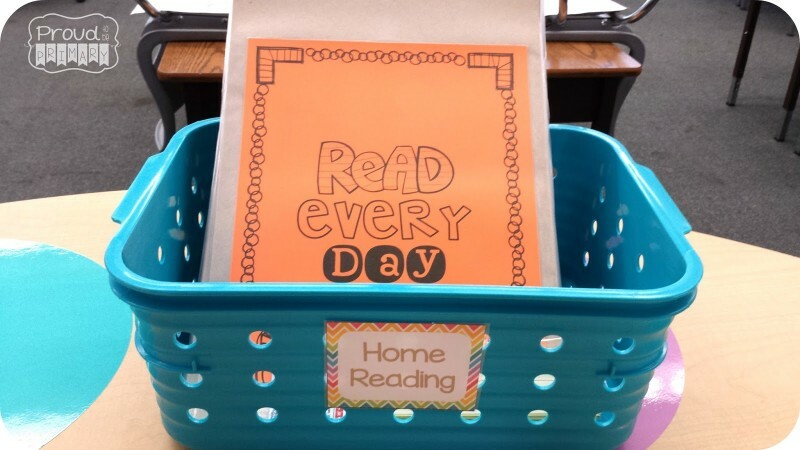 They each have their own reading basket that I number (saves me having to relabel each year!) and they LOVE being able to fill it with books they choose.I have them pick 3 books from their “just-right” reading basket (the one with the clothespin on it) and 3 books of their choosing from any other bins in the classroom. I should also mention that I have a group of students who are reading chapter books/more difficult material (they are beyond the levels on the bins), so they get to choose their own 6 books for the week. At the beginning of DEAR time each day, I have a different guided reading group “book shop” for new books. This keeps things organized and minimizes the noise and chaos that putting away and taking new books can create. 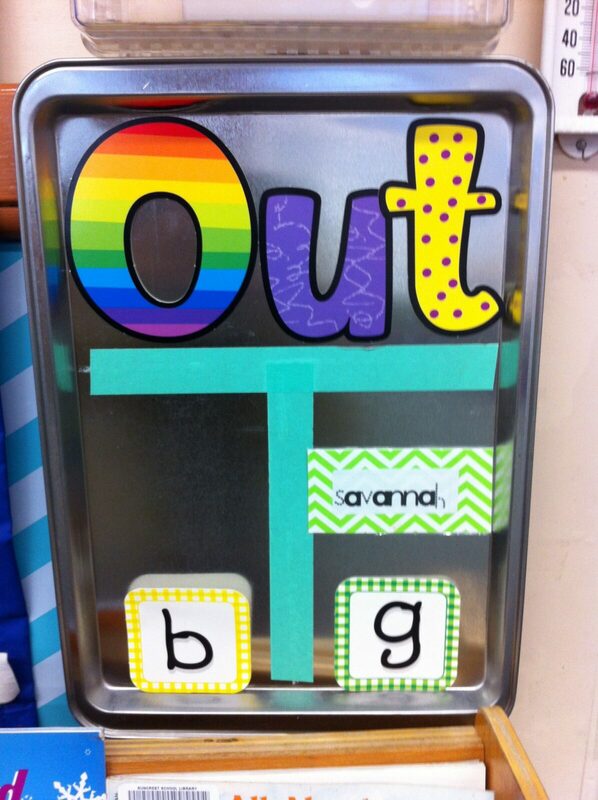 If you would like your own FREE set of rainbow chevron labels for your bins, click the image below! 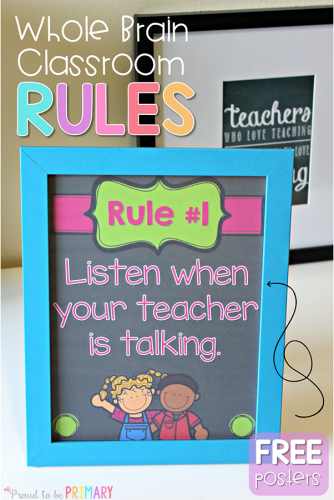 DEAR time happens every day and it is often what I hear my kiddos say is their favourite time of day! 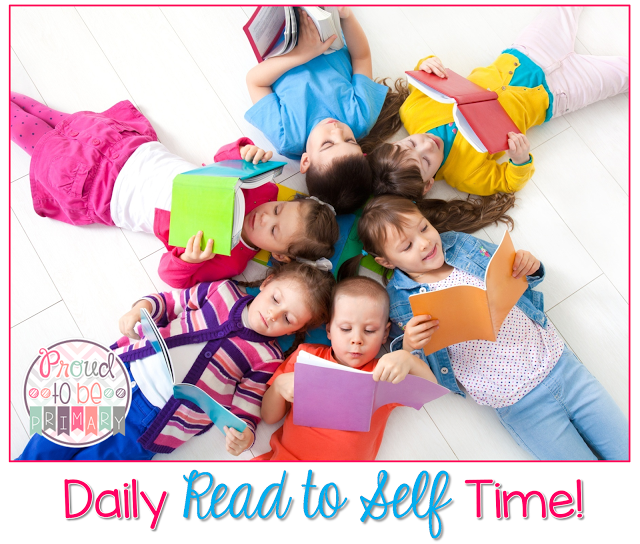 They love the opportunity to build their stamina, pick their own “just-right” books, and work on reading to self everyday! 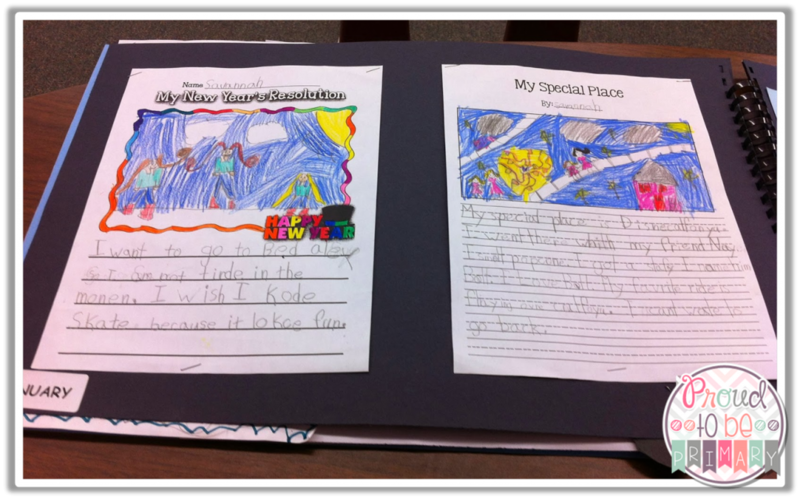 They feel successful and LOVE reading and that makes me happier than anything! 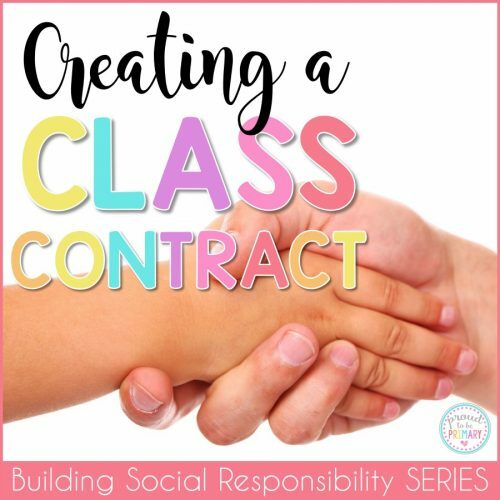 Just as important as developing a classroom reading program, I feel that setting up a program that parents and guardians can easily implement at home is vital for reading growth and enjoyment. 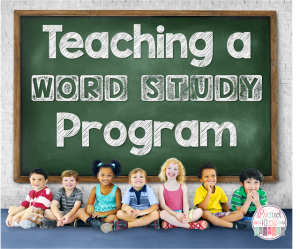 I hear from a lot of families, especially those with minimal resources or access to books, that this program helps keep their kids on track with their reading and guides families in what to do in order to build fluent, confident, and engaged readers. 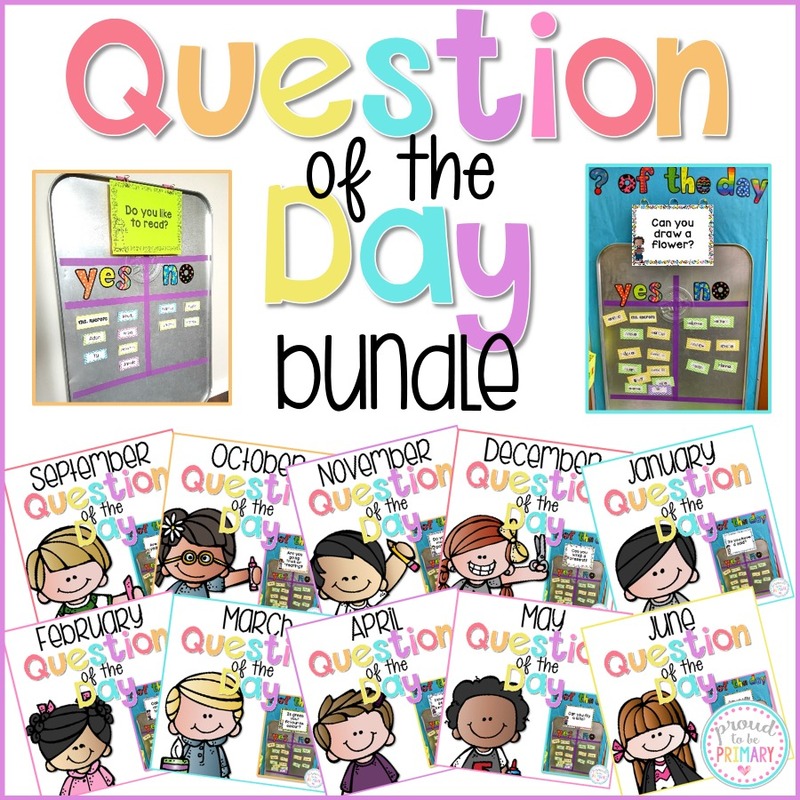 This is my 2nd year using folders (I’ve used Ziplock bags in the past) and I love how I can customize them with a cover on the front and a sheet of questions parents could ask as their child reads on the back. Inside I also place a letter from me explaining how the program runs and what their role is at home. These sheets are provided as a FREEBIE later. 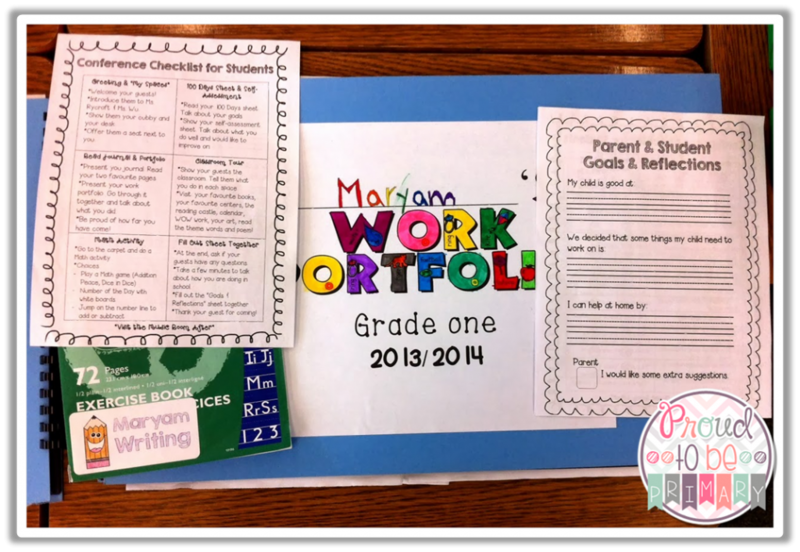 For durability, I laminate the folders not once, but twice to create some durability. My hope is that these folders last for a good part of the year. 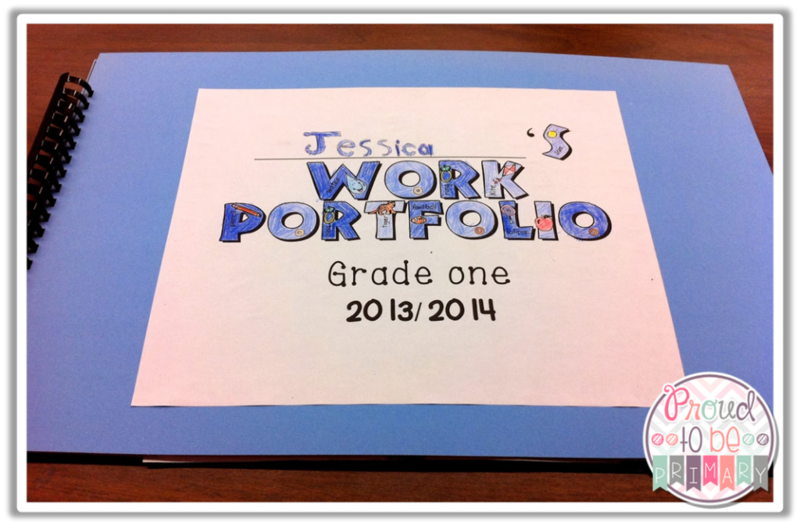 I also love using different colours of cardstock to print the covers onto. 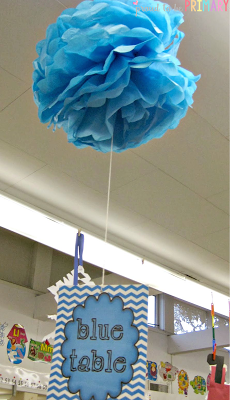 Now this great idea was not my own, but came from Rachelle over at What A Teacher Wants. 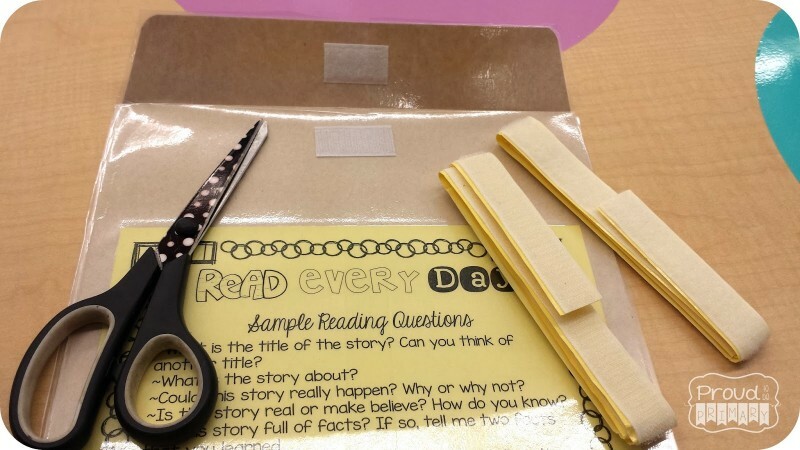 To keep your folders closed, use some Velcro strips cut into pieces and attached to the flap of the folder. This work like a charm! 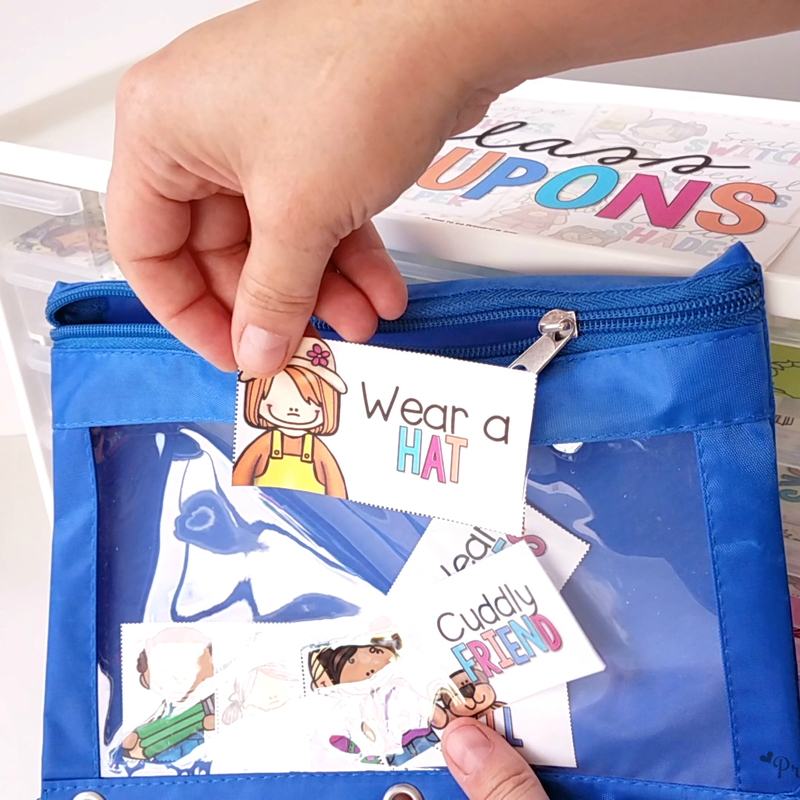 Such an easy and effective way to keep those books safe inside…and it lasts longer than a Ziplock. 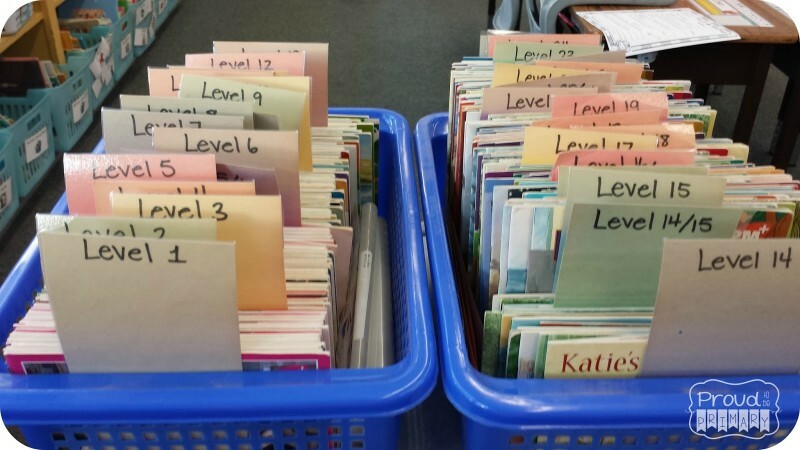 Once the folders are complete, you can start adding your leveled readers to the folders. 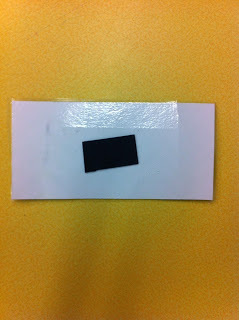 Label the folder with your student’s names. I keep all of my folders together in a bin. The bin is labeled for home readers and it is placed somewhere convenient. The best place is close to where students enter in the morning and leave in the afternoon. Every day, I request that my students turn their folders. 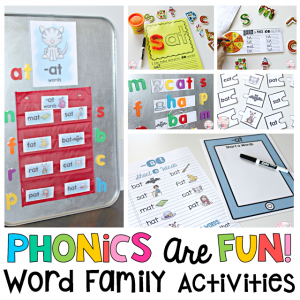 In this way, they might like to practice or share (we all share our readers later in the year). I change the readers every Friday before the weekend. 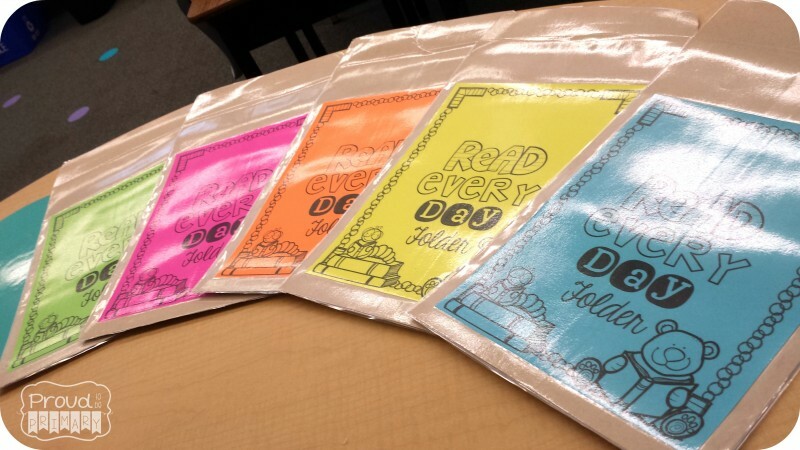 I also let them know that if they are ready sooner and their parents request a new reader, they may place their folder in my desk. Then, I will have them read to me and then switch their book on that day as well. After a little practice, these things become routine. Before I know it, my kiddos are hopping along the levels and progressing well. I keep 2 separate bins of levelled readers as my home readers. This way I am not grabbing books they have already read from the general bins. This also makes for a quick book switch on Fridays. 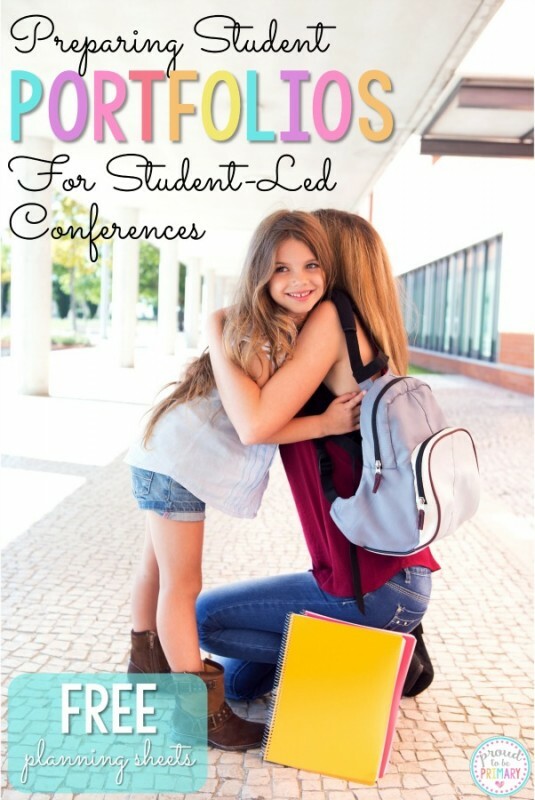 I have received a lot of positive feedback from families and my colleagues over the years. They have only good things to say about the effectiveness of this system. 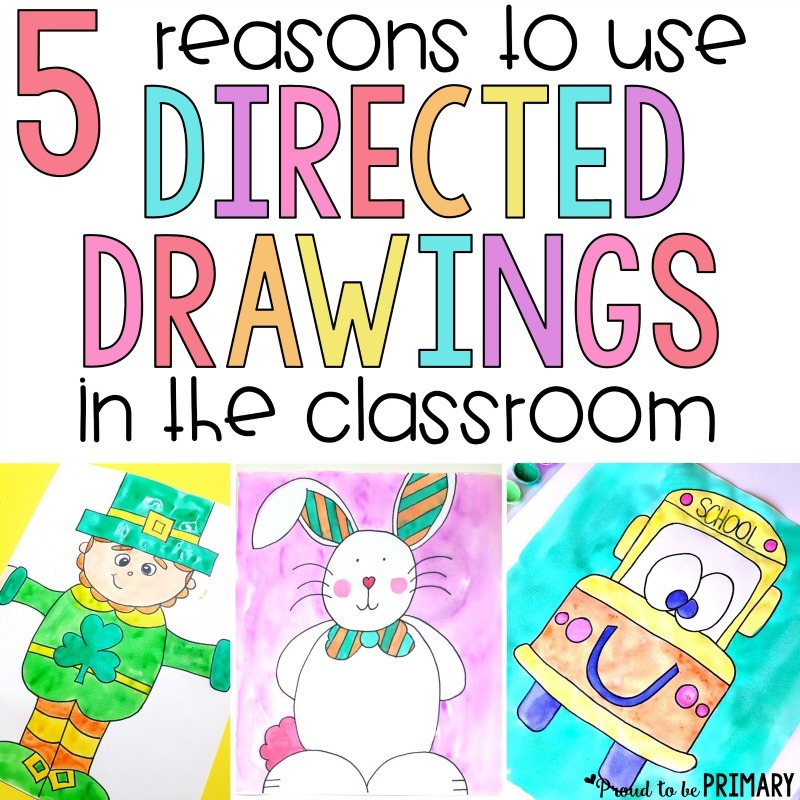 It might be something you already do in your room, or maybe something you need some ideas about. I hope you found the post useful. 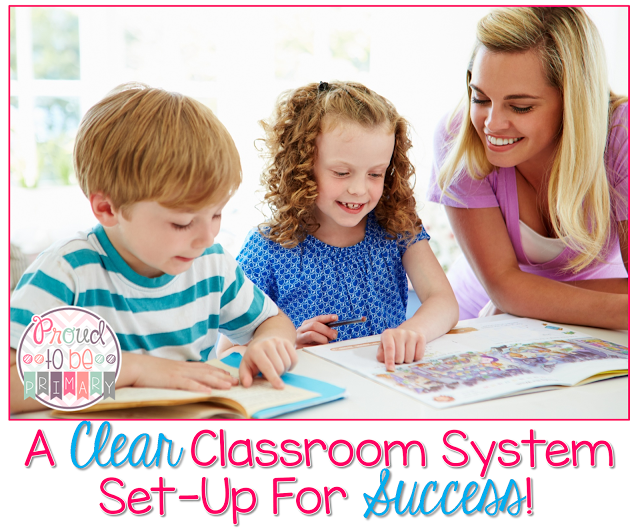 May it prove helpful as you organize a class system that leads to reading success and enjoyment! 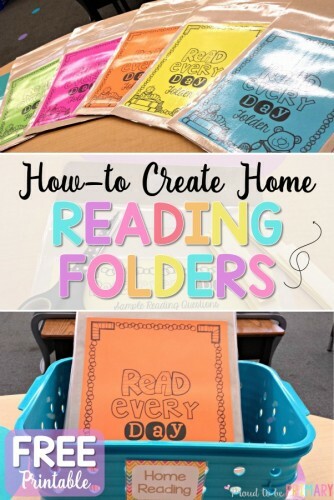 Grab the FREE Read Every Day Home Reading Folder resource now by clicking the image below! 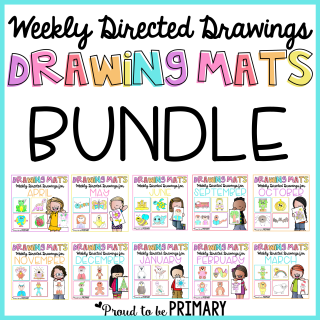 I have included it with EDITABLE files for you to customize to suit your needs. Enjoy! 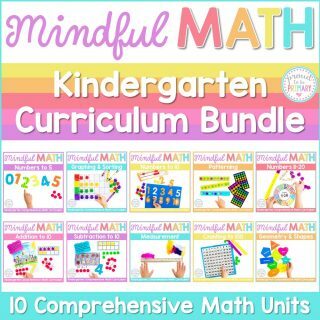 Grab the materials seen in this post on Amazon! 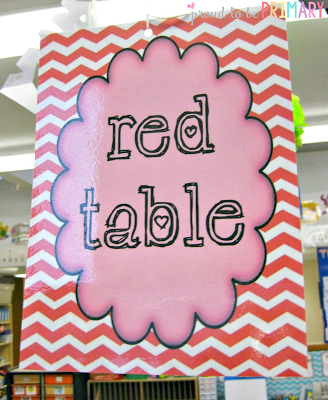 Needing useful information on setting up your guided reading program? 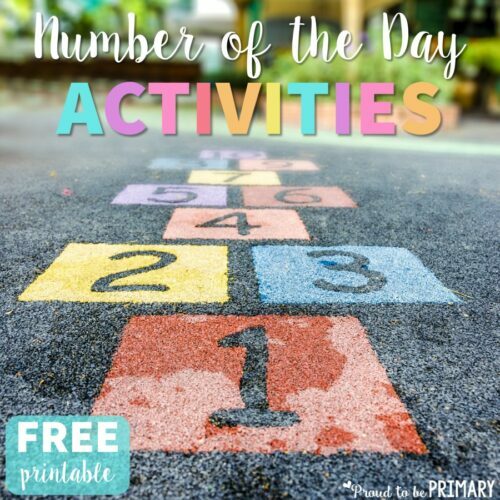 Check out the Pinterest board today! 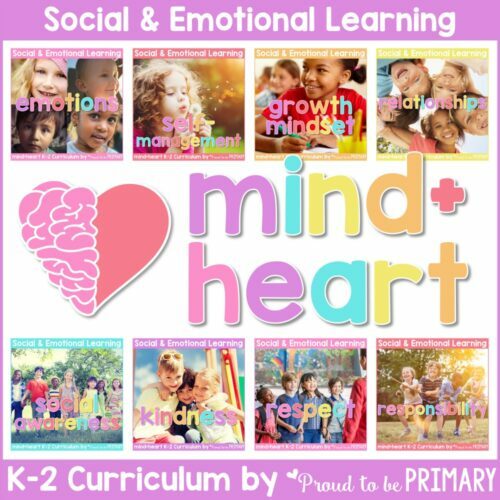 Follow Proud to be Primary ‘s board Teaching Reading on Pinterest. 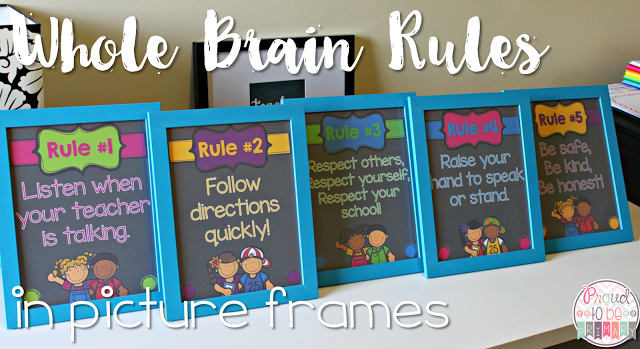 Thanks for stopping by to read my setting up a classroom and home reading program post. 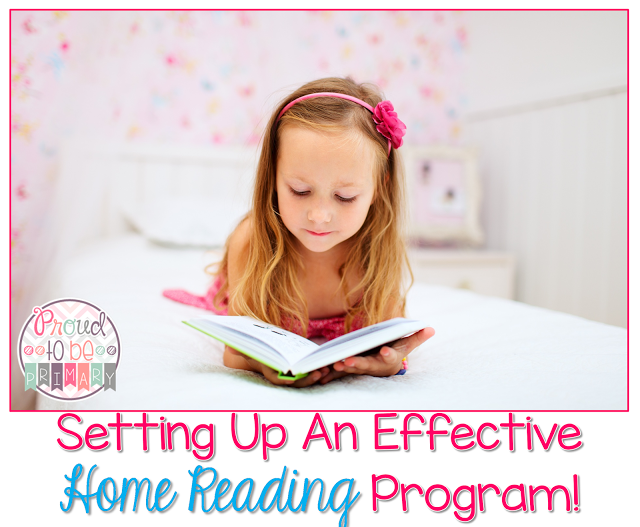 Comment below to let me know if and how you run your classroom and home reading program.